AFPC Edmonton is pleased to present Janek Guminski from ATB. Janek will provide a practical view of common FX risk scenarios, the pros and cons of various derivatives and strategies for developing an FX policy, including what derivatives are risk and cost savvy and which are not! 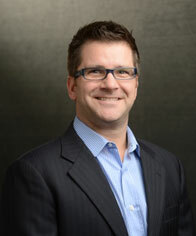 Janek Guminski joined ATB Financial Markets in 2011 as Director of Foreign Exchange and Interest Rates. In this role, Janek helps ATB clients protect themselves from potentially negative moves in the currency as well as from rising interest rates. He has a business degree from the University of British Columbia as well as a CFA designation. Janek has worked in a variety of industries from micro-brewing to mining. Prior to joining ATB, he spent ten years in capital markets while living in Toronto where he never once cheered for the Leafs. Janek is pleased to have made the move to Alberta. He is an avid golfer and marathon runner. This event will be sponsored by ATB Corporate Financial Services and we are pleased to announce that the luncheon will be FREE FOR MEMBERS! Thank you ATB!